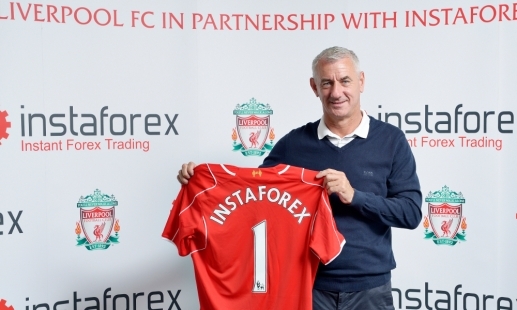 Fresh off of playing at Yankee Stadium in New York in an exhibition win against Manchester City, Liverpool FC has announced that InstaForex has become a sponsor of the team in Asia and the CIS for 2015 and 2016. As per details of the sponsorship, the deal is a multi-million dollar deal for the two- year partnership. During that time, InstaForex will have the rights to use Liverpool images and other digital content for the use of promoting their broker brand in Asia and the CIS. InstaForex is also expected to promote the Liverpool experience which includes tickets to fans and memorabilia. Not included is InstaForex branding on Liverpool jerseys or in their stadium. The partnership follows an ongoing trend of Forex brokers who have been partnering with football clubs and other sports teams to increase their brand recognition. Earlier this week, TradeNext partnered with Derby Count FC, while in March, IronFX became a sponsor of FC Barcelona. The current partnership between InstaForex and Liverpool was brokered by Sports Media Gaming Limited. Two organizations renowned for slippage! !